This post is in response to a request by Thomas MacEntee of Geneabloggers to post a “This is the Face of Genealogy” photo. His request was prompted by the “Inbreeding” photo used by LAWeekly to advertise an upcoming genealogy conference. My guess is the “Inbreeding” photo was an attempt to be humorous. It was, however, undeniably in poor taste. So here’s my contribution to the Geneablogger community response. This entry was posted in Personal Family History/Research and tagged Ancestor, Vintage photo. Bookmark the permalink. 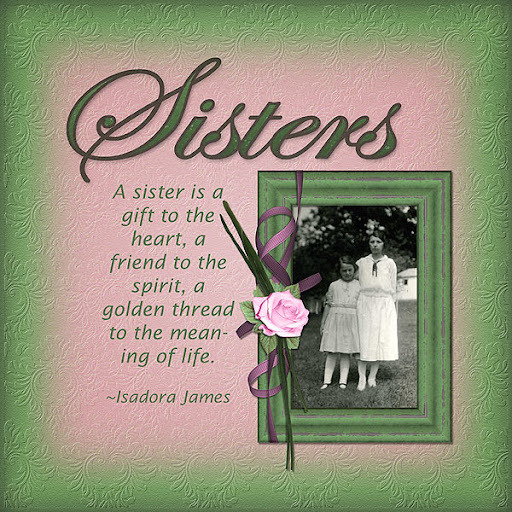 I love “sister” photos and have a collection of my grandmother and her sister that I treasure.